Dietrich James "D. J." Richardson is an American professional basketball player. He attended Peoria Central for his first three years of high school and transferred to Findlay Prep in Henderson, Nevada for his senior year. 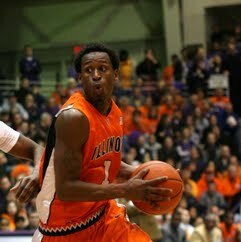 He played collegiately at the University of Illinois.